Fireplaces; Keep Warm While Outside! Still pretty cool outside in the evenings; don’t you wish you had a fire pit to enjoy until it warms up? Or you bought one of those metals ones from the box store that rusted and fell apart within a year. Even thought about a strong, concrete fire pit kit? Ours even come with steel liners to protect the block from heat. 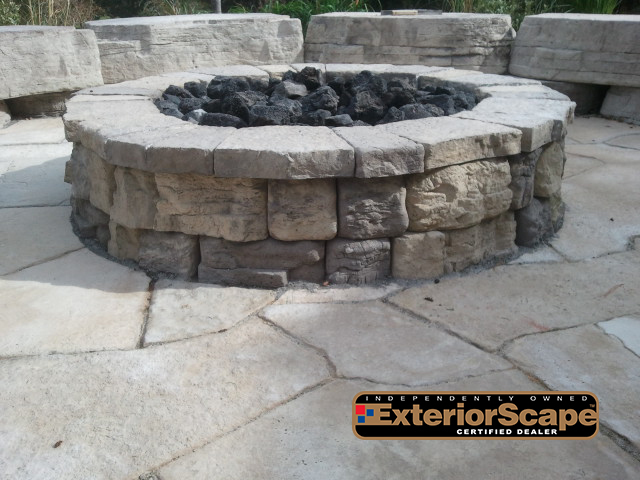 You can pick yours up today at your local Certified Exteriorscape dealer (click here to find a dealer near you) and have it installed by the weekend.